Christopher Way is a corporate attorney with over eight years of experience. He primarily specializes in assisting startup companies overcome legal hurdles. Christopher also has experience in commercial contracts, mergers and acquisitions, and as an outside general counselor. He is licensed to practice law in Virginia, and he obtained his J.D. in law from the University of Kentucky College of Law. He is currently a member at Way Law PLLC. "Well prepared to serve your interest." Matthew served as a Public Defender for over 2 years handling many criminal cases. Later, he became an Attorney with the Law Office of Eric Leckie. He is now the Owner of Top Tier Law Group, PLLC. His practice areas include estate planning, business or commercial law, and employment disputes, with his major focus on criminal, DWI, and traffic matters. Mr. Morris graduated in the top 10% of his class from the Regent University School of Law with his J.D. in 2012. 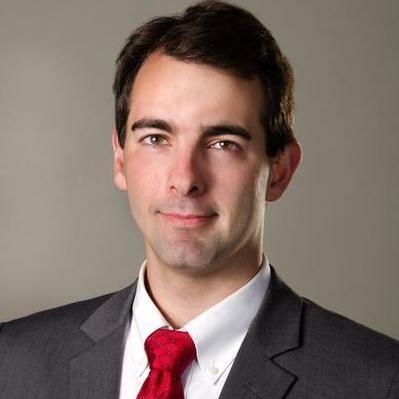 Jonathan Tarris is a legal counselor and attorney at law. He was recently licensed to practice law in Virginia, after obtaining his Juris Doctorate degree in law from the Washington and Lee University School of Law. Jonathan is experienced in real estate law, labor and employment law, mergers and acquisitions, as well as commercial contracts. Since October 2016, Jonathan has been managing his own law firm, Tarris Law. James Delfiore is a litigation attorney with 16 years of experience. He primarily focuses on real estate matters, including commercial transactions, litigation and agreements. James is licensed to practice law in the District of Columbia and in Rhode Island. He graduated from the Rogen Williams University School of Law with a Juris Doctor degree in law. James also has experience in employment law and debt-related legal matters. In 2014, he started his own law firm. Why use UpCounsel to hire a Alexandria Outside General Counsel? An UpCounsel Alexandria outside general counsel attorney can help handle day-to-day legal matters, working as a senior business attorney on an on-demand basis at a fraction of the cost of either hiring a full-time executive-level in-house general counsel or relying exclusively on a more traditional and expensive law firm counsel in Alexandria. Whether you need help with contract drafting or negotiations, employment, licensing agreements, intellectual property protection, corporate maintenance, due diligence, leases, or a range of other business legal services, you can easily connect with and hire a top Alexandria outside general counsel on-demand or on an ongoing basis. UpCounsel clients typically develop a working relationship with one outside general counsel lawyer that services the Alexandria, VA but have access to the whole team attorneys in our network for specific law expertise. Improve Your Legal ROI with Affordable Outside Counsel that service Alexandria, VA.
Want to Connect with Top Alexandria Outside General Counsel Attorneys?